If you think of your people as your organization’s muscles and bones, then professional development is the fitness trainer who shows them how to exercise; smarter, not always harder, with good technique and form, always focusing on avoiding injury which can significantly impact the entire body. If they’re more like your organization’s brain, then professional development is akin to the counselor, therapist, or life-coach, helping your people to prioritize goals, to understand how they think both emotionally and rationally, and then working with them to understand how those realities impact their perceptions, actions, relationships and overall effectiveness in specific situations. Regardless of the way you see it in your organization, professional development is monumentally important! 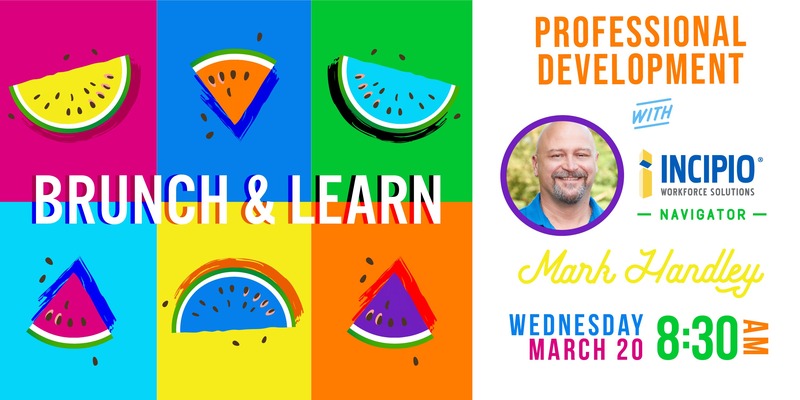 Come join us as we discuss the methods to develop your people professionally, to be more effective in the work they do, and to be more satisfied and engaged in their jobs. Your people are incredibly important, and the investments you make in them can not only make or break your businesses’ ability to meet goals, but it can also determine whether your organization can remain relevant and competitive!